Yesterday we had covered about the new features of Android M which was the 1st day of Google I/O 2015, but today we’ll cover some of the most important announcements made on the 2nd day of the Google event. 1 Project Soli- Radar For Wearables! Project Soli- Radar For Wearables! It sure does sounds weird when we think of having a radar right inside wearable like smartwatches and the like but Google ATAP (Advanced Technologies and Projects) team has made it possible. ATAP team wanted users to interact with very small devices (without a touchscreen) in a much more intuitive way so they concluded that nothing would work better than a miniature radar sensor. This highly sensitive radar sensor would be capable of sensing even slightest of the movements and hence will correctly estimate the velocity and the distance. This is one of my favourite announcements of Google I/O 2015. Project Jacquard incorporates electronics woven right into the fabrics. So, we don’t have to rely on wearable devices for doing basic tasks on our smartphones. Actually the advent of this kind of technology was long overdue. Visionaries have been thinking about creating smart garments since a long time, but this is the first step that we have seen in that direction. The Project Jacquard is the brain child of ATAP team, obviously. Google has partnered up with Levi’s as its first fabric partner. With Project Jacquard in the picture, you can think about controlling music playback just by making a gesture on your garment. The scope of this technologies involving fabric-woven electronics is virtually endless, and depends on the imagination of the company and the developers. Project Vault aims to secure the sensitive data stored on the microSD cards used as external storage media in our smartphones. Designed by ATAP, Project Vault incorporates an ARM chip embedded inside a microSD card with at least 1 GB of storage space. These cards would be based on some sort of RTOS (Real-time Operating Systems). The hardware setup would also consist of an NFC and an antenna for security purposes. The card will feature 2-factor authentication and would act like a regular microSD card to the parent device and would work on a number of operating systems like Android, Windows, OS X, Linux, etc. Play Services is the core of Android apps and is silently updated in the background automatically. The new Play Services v7.5 will add features like ‘Smart Lock for Passwords’ allowing the device to retrieve the user password stored in Chrome database which can be used on other device having Google Chrome signed-in with same Google account. Under this new update, Google Maps will now let developers provide full-fledged navigation on wearable devices powered by Android Wear platform. Google Cloud Messaging system has also been updated to provide better power efficiency. Project Ara which focuses on modular smartphones concept was showcased live at the event. Project Ara allows the end-user to replace key components of a smartphone themselves, thus nullifying the need to buy a new phone every year. So, if you are perfectly happy with your current smartphone but want to buy the latest phone just because you want a better camera then all you have to do is buy the latest camera module and replace your current camera module with it. Simple, isn’t it? Project Ara would also allow the users to replace the display, SoC, camera, internal storage, and radios, and the battery. While most of us already know about the Project Ara, we have never witnessed someone assembling a Project Ara based smartphone right in front of our eyes. That’s exactly what happened at the event. Rada Camargo, a Google engineer not only put together an Ara based phone, but also took a picture of the audience with it. Project Ara based smartphones are likely to made available to the masses by early 2016. 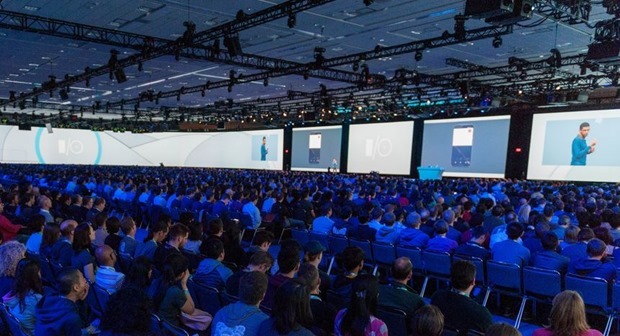 These are some of the main consumer-centric announcements that were made during the Google I/O 2015. Visit the official Google I/O website for knowing about all consumer and developer-centric announcements made during the event.